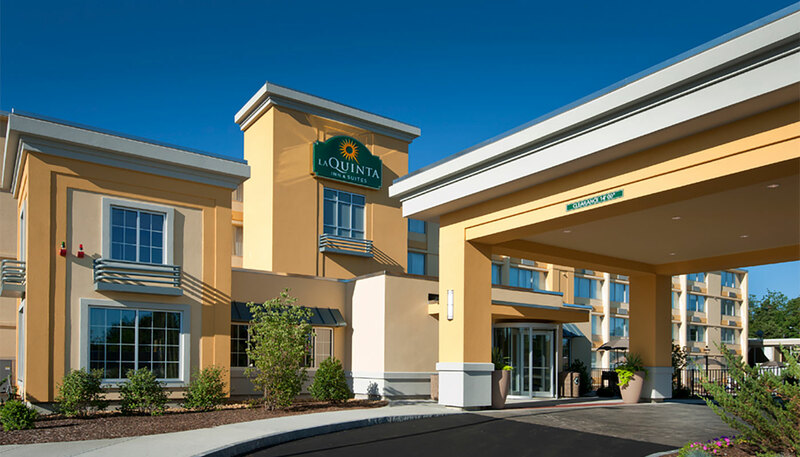 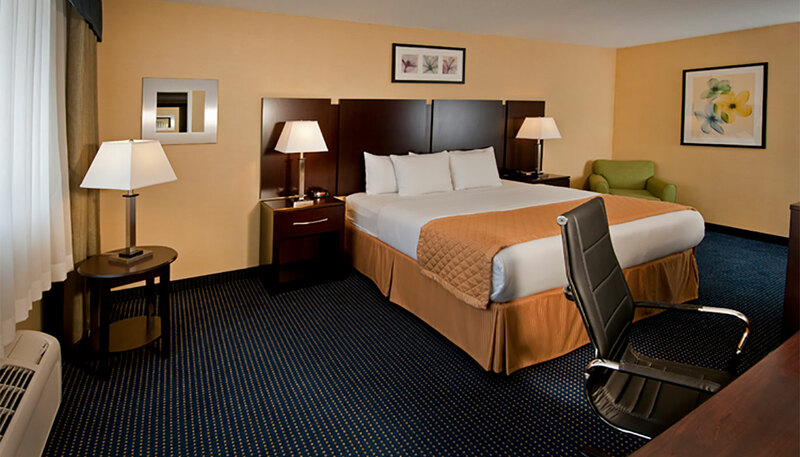 Our La Quinta Inn & Suites right off exit 6 on Interstate 293 in Manchester, New Hampshire offers 109 guestrooms and suites. 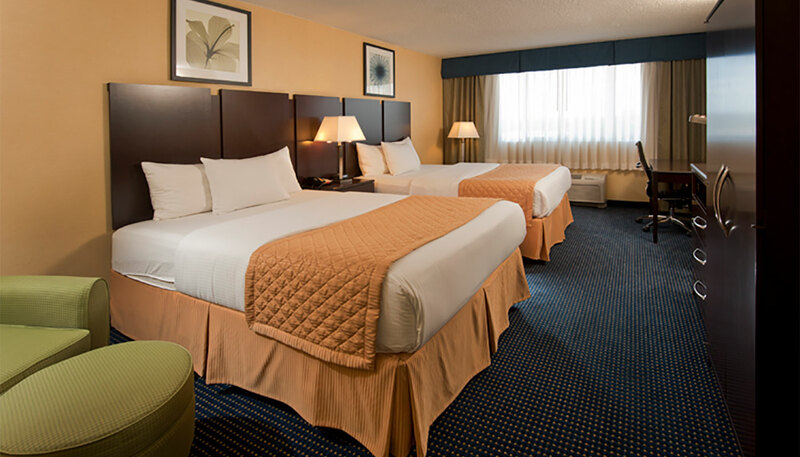 Conveniently located in the Historic Millyard and Theatre district, this select service hotel is the perfect option for both business and social guests alike, featuring a seasonal pool, fitness center, complimentary 24 hour airport shuttle, and an attached 7,000 square foot event center. 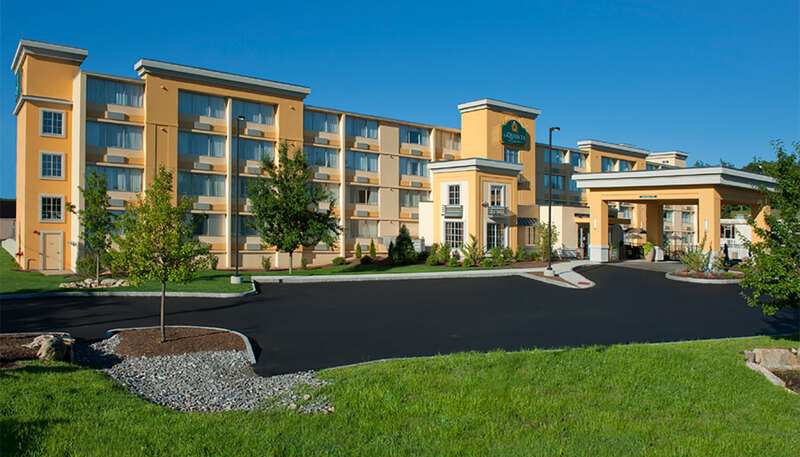 Roedel Companies, along with their partner Alta Properties, purchased a bank note to a 1962, purpose built full-service Holiday Inn hotel that was currently operating as a Clarion Hotel. 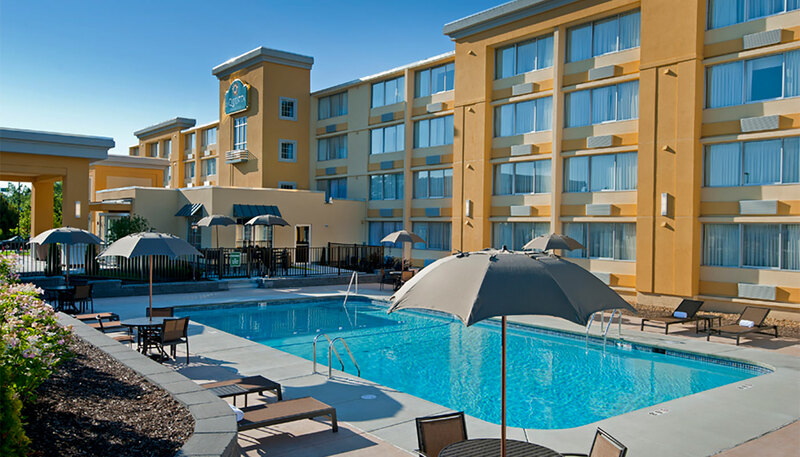 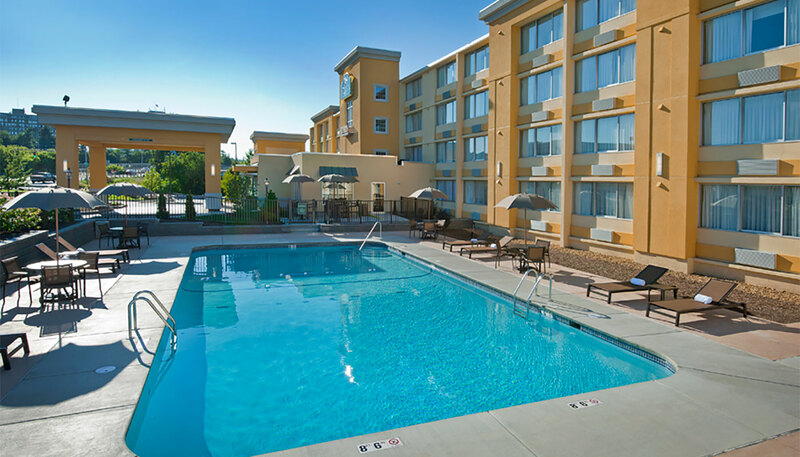 We successfully negotiated and acquired the note, foreclosed on the hotel and strategically re-purposed, up-branded and renovated the facility into a 109-room La Quinta Inn & Suites with an attached 7,000 SF events center called The Falls Event Center. 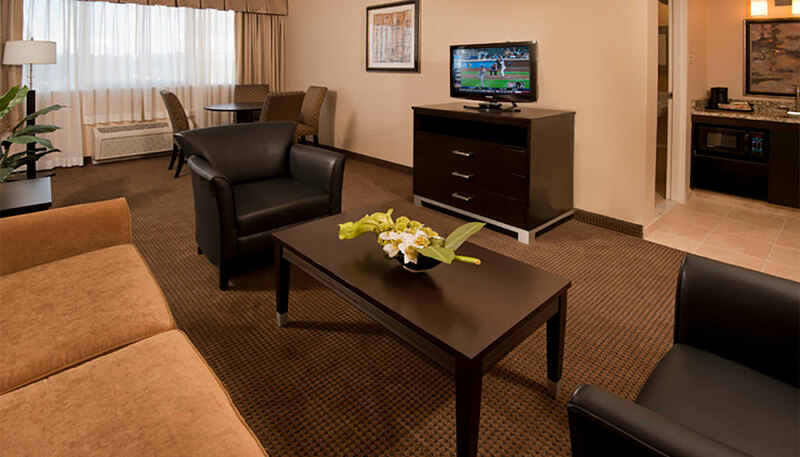 The transformation included building a new, 2500 SF lobby building on the north side of the hotel tower creating a modern looking, center loaded, limited service hotel while removing all hotel support from the 10,000 SF, one-story building that was originally built as the Holiday Inn’s lobby, restaurant, event space and commercial kitchen. 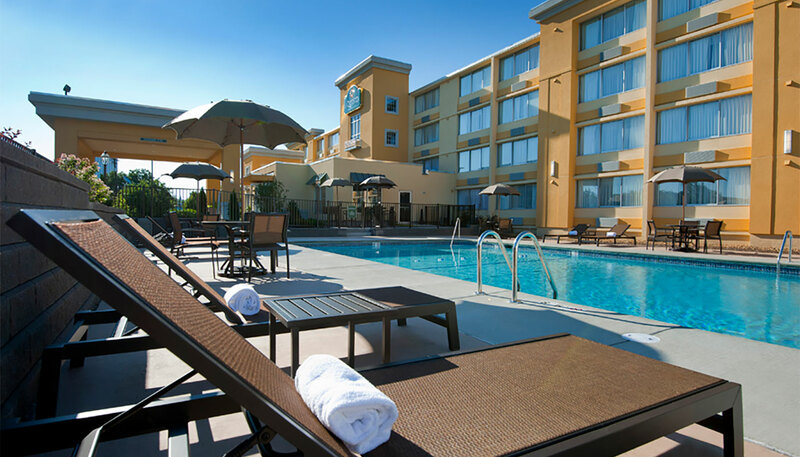 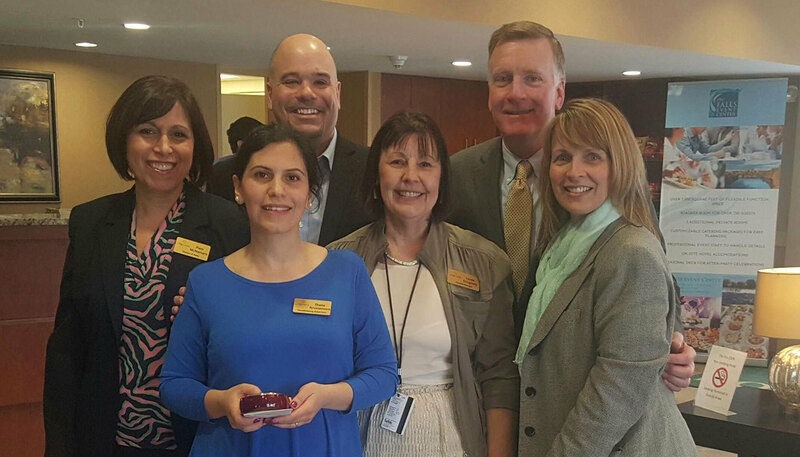 The hotel re-opened in April of 2012 and ramped up quickly achieving 100% market share within 12 months.